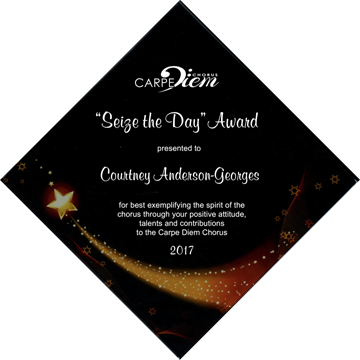 Presented to the chorus member best exemplifying the spirit of the chorus through her positive attitude, talents and contributions to the Carpe Diem Chorus. 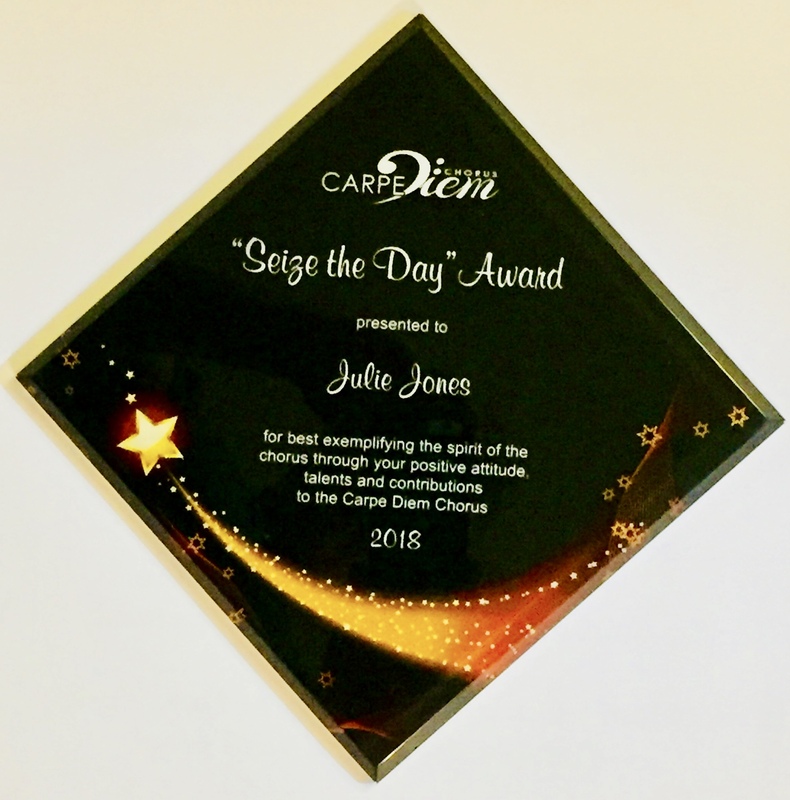 Presented to the chorus member, in appreciation of her dedication to and passion for elevating the performance level of the Carpe Diem Chorus. Awarded to the chorus member who has contributed to the chorus, in ways many members might not even be aware of. This individual represents the culture of our chorus. Someone who gives of themselves to the benefit of the chorus.